I have had the privilege of meeting and talking with many great writers and thinkers, but none have transformed my thinking more than Gregory Bateson. I was privileged to go to his final Lecture which was in London at the ICA, October 28th 1979, shortly before his death in 1980. Sadly, it was only after he died that he became my intellectual mentor, studying his many publications, listening to his Esalen seminars on tape and trying to make sense of the many news ways of seeing and experiencing the world that he gave us. 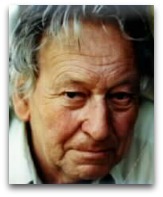 Hawkins, P. (2004) “Gregory Bateson: His contribution to Action Research and Organisation Development” The Journal of Action research. 2(4) pp 409-423. More recently I have had the pleasure of meeting both Gregory Bateson’s daughters: Mary Catherine Bateson and Nora Bateson, who each have continued aspects of the work that their father started. In 2015 I had the privilege of doing a video interview with Nora Bateson who now leads the work at the Batson Institute ( www.internationalbatesoninstitute.org ). This can be watched via my website: https://www.renewalassociates.co.uk/resources. In this interview we discuss how Gregory and Nora’s thinking can help us develop an eco-systemic way of seeing the world and address many of the great challenges that now face us. These challenges have grown much greater since when Gregory first opened our eyes in the 1960s and 1970s to the ecological crisis. Even back then he was saying that if we did not begin to think in new ways, we did not have “a snowball in hell’s chance of surviving the 21st century”. We should all read the work of Gregory, Mary Catherine and Nora Bateson, and I hope my two papers and the video interview provide a window into his work and an encouragement to read more. Professor Peter Hawkins September 2016.